I’m in two minds about this situation. On the one hand, of course Apple is trying to muscle into the payments market. 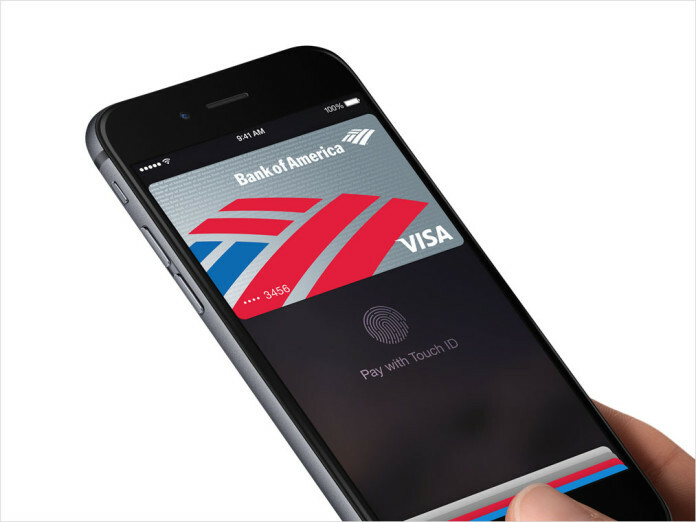 Some banks, such as the Commonwealth Bank, already provide similar functionality to Apple Pay through their own mobile platforms. If Apple wants to get in on the action, it should be paying the banks a rate which they would find acceptable — otherwise, it will not be able to bring them to the negotiating table. On the other hand, the banks’ mobile transaction platforms are not very well advanced yet. Apple was able to modernise the music and mobile phone industries very well indeed — I would like to see it pushing into the fraught payments sector and simplifying it so that we don’t have to carry around a wallet full of credit and EFTPOS cards any more. Let’s hope it can get some momentum with Apple Pay and give us some space back in our back pockets. From what I’ve read it looks like Apple want 30-50% of that 2 billion and are using a take it or leave it approach to negotiation. Hardly surprising the banks aren’t keen to play. What fun – we get to watch the rent extractors argue it out between them as to who rips us off by what %. I can’t wait. But I bet I know the outcome: increase the total size of the pie. That is, how much rent they pull from us. I think there’s another reason the big four banks aren’t keen. At the moment I believe they can mine data about where people spend money. That is Commonwealth Bank would get all the info about which card numbers were used to make payments to any merchant using a Commonwealth Bank terminal. Presumably they could use this to build up a profile of a person’s spending habits. i.e. someone with card number 1234 5678 1234 5678 bought 3 coffees from these 3 cafes and does his grocery shopping on Sat mornings at Coles. I also presume this data has some value to Commonwealth Bank. I imagine they sell it to advertisers. Apple Pay adds ‘tokenised’ transactions so the merchants and banks who provide the merchants with their hardware don’t see a single ‘card number’ but get an anonymous transaction token. The customer’s bank can obviously build a picture of what they spend money on but the merchants and banks providing the terminals can not. I imagine the status quo suits both merchants and banks nicely in this regard. NB: big caveat here – I don’t actually know if banks can track this sort of data using the current system but my understanding is that Apple Pay purports to provide greater protections for the privacy of people using it. Your typical eftpos won’t send itemised data upstream (point of sales only send that data across for receipt printing etc). Banks will know there’s a $5 purchase at said merchant but not necessarily know its an capachino to go etc. If for no other reason than its too much data to deal with in a timely fashion (when you consider that their servers are going to be handling entire states or the country etc). That is what loyalty cards/systems are for. Apple pay I’ve no idea about though. I’ve been happily using Optus Cash on an NFC phone for months now. It works nicely and doesn’t require an Apple. Optus obviously weren’t so greedy with their expected cut. I assume Telstra etc have something similar? PCI compliance is a large tome (I’ve only read parts) of very specific and strict rules regarding EFTPOS and the like. Its a pretty solid regime. It has to be to maintain that trust level for consumers world wide. Also Visa and Mastercard lose Billions each year in fraudulent/charge back transactions so trust me you don’t want to get caught out as a provider and found not compliant when something goes wrong because they will hang you with the full cost of said mistake! trying to play the field and data mine and then release something you shouldn’t … that would be very expensive imho. (Its what loyalty and reward systems are for ie flybuys) These new phone based systems I don’t know what they do and don’t record time will likely tell. I think the fact that contactless cards are already in wide use makes Apple Pay less attractive in Australia. In the US, where magstripe rules I can understand why banks would want an external motivation to get retailers upgraded to more secure tech, but here that effort has already been made so what’s the point? *reads article* Yep, that’s what the banks are saying. I could be doing it on my GS5 already, except I bought mine from Kogan and Westpac only support the Australian model, not the Hong Kong one. honestly believe security is a secondary thing with the contactless shift (if its actually even any more secure than before which I doubt). Its more efficiency and time saving measure imho. Swiping and signing takes at least 2-3 times as long as a simple tap and go. To be honest, I’m extremely reluctant to tie my phone and my wallet together, because I’ve found my phone leaving my possession much more frequently than my wallet. Lets reverse those numbers around into consumer terms. The US margin is 15c out of every $1. If the Australian banks just passed that charge on to the customer, their rate would go from 50c up to 65c, or from 30c to 45c if the RBA gets their way (nearly undoing effects of the RBA’s cut). Customers would squeal & many would swap providers if Netflix or a telco tried to pulled that sort of price hike. And a new company would have an uphill battle to gain traction. Contactless payment is already a thing here – the market might not be mature, but it’s certainly not virgin. The only thing that’s special about ApplePay is they’re part of the smartphone duopoly. Apple Watch to pay for goods and services at EFTPOS terminals around Australia?